One of the things I love about the Jesuit tradition is their emphasis on "finding God in all things." Today one of the Fathers said, "When someone is at a retreat and really getting it, I could give them a phone book and they'd find God in it." I often think of finding God in all things when I get a glimpse strangers showing love to each other. Right before this morning's presentation, I snapped a picture of an example of that. 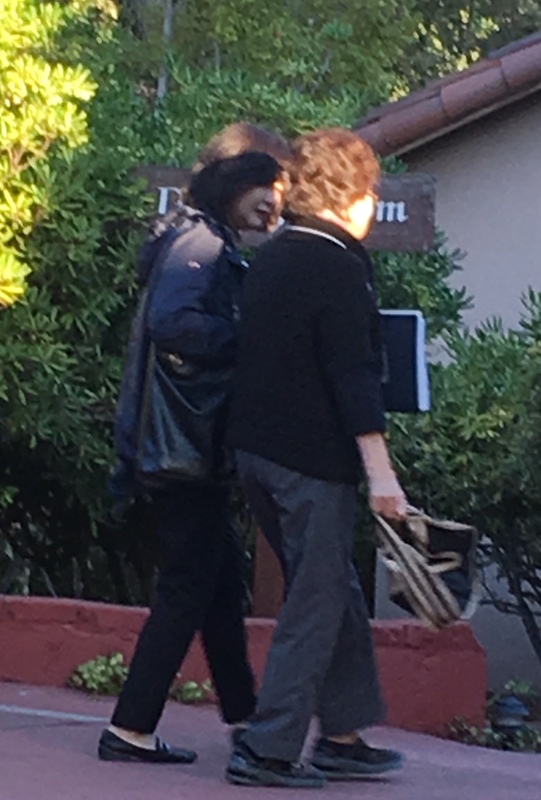 A younger and an elder woman were walking together on the sidewalks of the buildings here in the retreat center. The younger woman not only hooked her arm into the elder's arm, she put her other hand on the elder's arm, too. She leaned her body and inclined her head to hear and speak to the elder woman. She nodded often. When they came to stairs, she carefully took a step and waited for the elder woman's foot to reach each step, too.